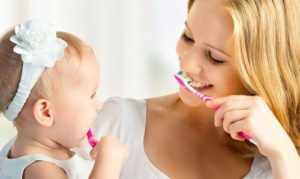 Getting children into a healthy habit of brushing their teeth regularly is a very important task for any parent. So what do you do if your kid hates toothpaste? It may just be a case of finding the right toothpaste that your kid will like, do not try them out on adult ones first often times the flavors are too strong for them to take and if it is a very young child they will need lower levels of certain ingredients, which you can find in children’s toothpastes. Another reason for making sure that you stick with toothpastes that are designed for children is that a lot of kids will swallow the toothpaste whether on purpose or accident and some might even eat it. Most children’s toothpastes are made with this assumption and so safe. However if you do find your child has eaten or swallowed a large amount of the toothpaste and your worried call the poison control hotline as your very first step, they will be able to quickly decide if you need to move on further. Most often you will just need to give the child a glass of milk that will help against any of the ingredients causing any bad symptoms, but always call the hotline to make sure. Toothpastes that seem to be geared for children and have a high success rate with them are Tom’s of Main for kids, the mango or strawberry flavor, Weleda Mint Children’s Toothpaste, Colgate Children’s 2-in-1 Toothpaste and Mouthwash, Watermelon or Strawberry Flavor. These are just a few of the suggestions of the choices you will find out there. If your child is picky it is just going to be a case of trial and error. To help you narrow down the choices try to keep the flavor choices in line with something you know they already like, grape, cherry, strawberry those sorts of choices.